‘Cocoon‘ wrap is hand knit with a a yarn that gives various thicknesses, creating a special texture. You can use it like a blanket too. Ask me for more colors. 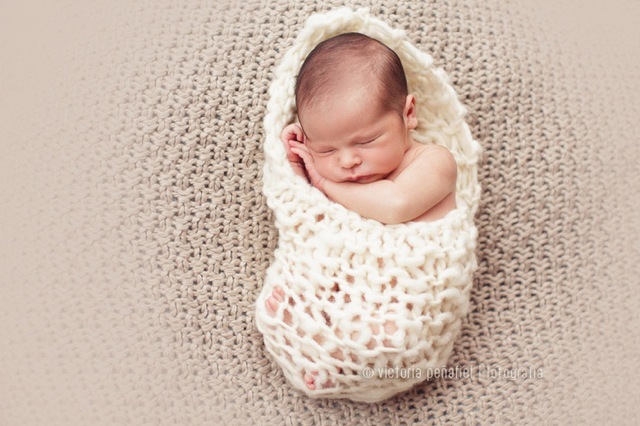 Thank you so much to Victoria Peñafiel for her beautiful photo of a newborn wrapped with ‘Cocoon’. Hand knit by me with love.